“Buy land, they aren’t making it anymore,” said Mark Twain. There’s no doubt Twain was onto something, but these days any sensible person who invests in real estate no doubt considers the importance of buying insurance. But how much does it cost, and what are the underlying factors driving the market? We gathered our numbers from GOBankingRates, a personal finance website that analyzes the most common expenses in everyone’s budget. We colored each state according to the average cost of insurance. Dark red states are the most expensive, costing over $4,000/year, and dark blue states are the cheapest with under $1,300/year. Our map makes the geographic and weather-related factors underlying the cost of home insurance. Let’s back up for a second and make sure we cover the basics. Home insurance covers both the structural value of a home and all the belongings inside it. Federally-backed mortgages require homeowners to buy insurance—if a fire comes along and burns down a house without insurance, the lender is left with no tangible asset. Many people also don’t realize that homeowners insurance is different from flood insurance and earthquake insurance. 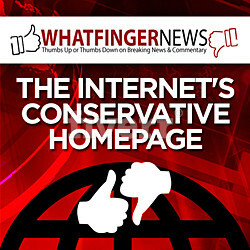 It’s a complex marketplace with a lot of different pricing factors. With all that being said, severe weather directly affects home insurance costs. The least expensive state for home insurance is in the middle of the Pacific Ocean—it costs only $703 in Hawaii. Florida is at the opposite end of the spectrum, where it costs a whopping $6,892 to insure a home. Hurricanes are the obvious explanation for the discrepancy between both states. Hawaii almost never gets severe weather, and only a handful of hurricanes have hit the island in the last 70 years. Florida, on the other hand, endures more direct hits than any other state. The University of Miami’s mascot is—guess what—the Hurricanes. Let’s take the difference between Hawaii and Florida to the logical conclusion. A homeowner in Florida would pay $6,189 more every year. Think about that cost for the typical 30-year loan: the average Floridian will drop over $185K more than someone in Hawaii just on insurance. According to Zillow, that’s almost how much it costs to buy a home in the first place. 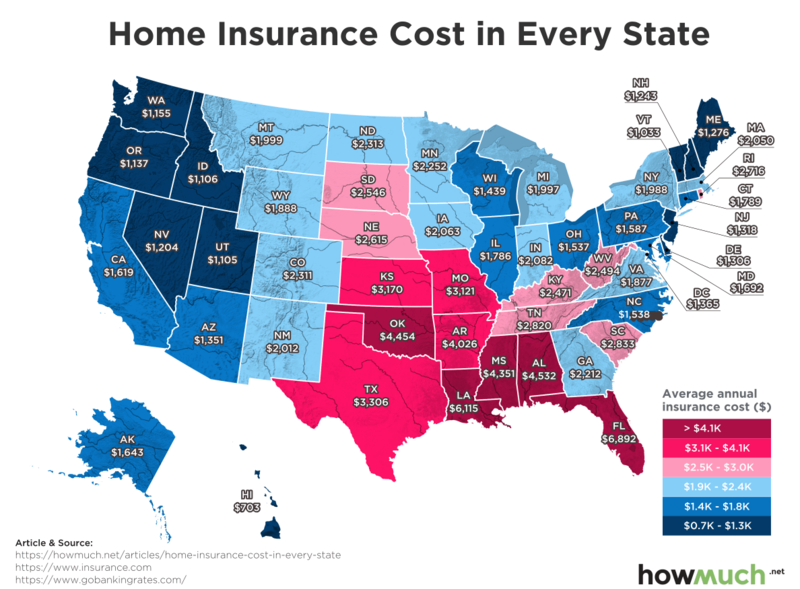 It isn’t surprising that states bordering the Gulf of Mexico have the highest home insurance costs in the nation. Louisiana is the second most expensive at $6,115, and Alabama is the third-priciest at $4,532. Both states suffered massive devastation in recent memory due to hurricanes. The band of dark red states around the Gulf stand in stark contrast with the dark blue states in the Northwest, where widespread severe weather almost never happens. Things are also comparatively cheap across the Upper Midwest and the Northeast.